Please leave us a message to let us know about your experience with the MIR-Method. If you have any questions, please check: ‘Questions‘´. It is very interesting to read about what the MIR-Method has done for you and for the people or animals around you. Every little change you notice can be an inspiration to someone else who is suffering from the same complaints. So please feel invited to respond at the bottom of this page! Dear Mireille, I cannot remember how I found your website. I started your steps back in November, as I was diagnosed with Lichen Sclerosus which could, in some cases, turn cancerous. Today after 2 months, I went back to the dermatologist for a check up, and it has completely disappeared !! I shall keep doing the steps as long as I live. Thank you from the bottom of my heart for sharing your method. I am sure you are an Angel sent to Earth. Such an extraordinary wonderful result your body has created! I am incredibly happy for you and for all the women that also endure Lichen Sclerosus. If you can heal it all by yourself, so can others. Well done!!! Hi, Merry Christmas and Happy New Year. I have been doing the MIR-Method for almost 2mths non stop to help my eldest daughter control and manage her anger.But I don’t see any improvement in her behaviour and she continues to flare up easily over every trivial issue concerning her 3 year old son. Her husband and maid are equally stressed up over her irrational behaviour. Please assist. Am drained and stressed out. Please realise that the anger is not her anger, but from one of her parents or both. She is not the one who should be doing the MIR-Method, but you. Children often ‘carry’ emotions for their parents. I just wanted to say thank you. I have been doing the MIR method for just over four weeks and not sure yet whether any positive changes, but it has given me hope, and a sense of real possibility and I am going to continue with it for some time. Also, reading the list of conditions it can help, and what you have written more in depth for each item, is extremely helpful, validating and positive. You make a difference. Thank you again and many blessings. Thank you kindly for your words of appreciation! In the Netherlands we have now 9 years of experience with the MIR-Method and it gives your body something to start off the healing process. I am glad you want to give it a try! Hope to hear some good news from you! Greetings, I, too, stumbled onto the MIR-Method last night. I don’t even remember how I got to your website, I was just following my nose. I would like to comment that, in my humble opinion, the Dutch are the most progressive people in the world. Practically every time I read about something great–it’s from the Netherlands! For example, research into wild animal suffering (for future generations who may be able to intervene) and other animal welfare groups. That’s my thing–animals especially those destined for slaughter. We need to give them decent lives and painless deaths (in the words of Temple Grandin). The Dutch are major players in the development of cellular agriculture and a whole bunch of other seriously cool stuff. I love the Dutch! My mom is from a Russian Mennonite family and when her parents arrived in Canada as refugees after the Russian Revolution my Grandfather put “Dutch” on the immigration forms. So I have ancestors belonging to the people I admire so much. I have been sick with grief for 9 months. My bowels froze and my intestines are packed with stool (gross!). Within one year my mom died, a very close friend died and an animal I had a professional relationship with (as well as true love) died, a bird named Luigi who worked with me to make art. Luigi shredded paper with his beak and I made artwork out of the paper he cut for me. Luigi changed my life. Because of him I fulfilled a childhood dream to earn money to live on with my creativity. And the recognition was nice too–I got a contract with Hallmark Cards. After Luigi’s passing my bowels froze and I’m pretty desperate for resolution. I firmly believe it is grief and that there is no disease but I’ve had enough. Thank you so much for giving your method to all. I started the 2 steps today. How wonderful that you ‘accidentally’ stumbled onto this website! Was that a coincidence? Thank you for your words about the Dutch. I agree with you. There are many idealistic and free thinking people here that really make a difference. It is also because of our cool climate and tiny country: we can work for hours because there’s not much heat that makes us tired. And to live within short distances helps us to get together quickly. And… we speak many languages. Besides that I hear from spiritual leaders interesting thoughts about the Dutch which indicates that many solutions will come from this country. Thank you for acknowledging! About your intestinal problems: yes, I agree with you. All the hardships and losses you have had, especially with your close friend Luigi, gives intense grief. You need to actively let go of him and of your mother and friend, but you would rather hold them close. It is the hardest part of life, I think, losing a loved one. Please try to do the MIR-Method while putting your hand on your belly. Besides that, take good care of your food and make sure you drink enough water to assist your intestants. Hi Mireille, thank you for the advice about putting my hand on my belly when doing the MIR Method. I have had improvement–my intestines will start working for up to 4 days (so far) and then stop again. And then repeat start and stop. Much better than frozen completely. Much much much better. I am looking forward to the day when this grief has left my body. Maybe it’s like thawing frozen food in a cold fridge–it’s slow but steady with no chance of poisoning! Thanks again. That’s exactly what it is! Slowly and gently. Besides that, when your intestines start to work properly again, you will notice many more improvements in your health. Good luck! Hi. Thank you for such a method. Actually I have yet to find an appropriate word which is so easy effective and unique. I have a query. What if I want to improve elasticity of my skin? What can we say for it? There is no special need for extra words if you want to improve the elasticity of your skin. When you start doing the MIR-Method, your body will start to heal itself, including the condition of your skin. Maybe by making you feel more thirsty, so that you start to drink more water. That is SO great to hear! Am glad it can contribute to your beautiful homeopathic work! Hello Mireille, I found your website while researching some material on lungs. This has been a fortunate find as I have been regularly using the MIR Method since to experiment whether this could be too good to be true & though it has been almost 4 weeks now, I think I am noticing some results. One result was I had difficulty going to sleep until 2.00 to 4.00 am in the morning but waking up feeling normal for around 2 weeks. The other is I have got a good routine going of caring for my health with healthy diet, walking daily & daily doing self help programs that I had been procrastinating on starting. Doing MIR daily feels important to me now & I am curious to see what else may happen. Thank you for generously sharing this method so freely, I have passed it on to others who are doing it now & I will purchase your book to learn more. Very kind regards & thank you. Hi, I started the MIR-Method 8 weeks ago after seeing an article in a magazine. In brief i have had a number of years feeling under significant stress and suspect i also suffer from post traumatic stress from some events. Physical symptoms of this had started to show over recent years such as eczema. It has been a bizarre journey. I have no doubt it has caused me to have physical symptoms, in the first month i mainly felt exhausted, spaced out and like i had PMT. At times i felt really anxious and depressed, on 2 occasions i was almost beside myself with anxiety but the difference was it passed in a day. I tolerated the feelings as i believed your advice that there could be years worth of emotion to work through. In hindsight perhaps i should have started with just the 2 steps as it was pretty bad on some days and i almost gave up! I was focused on my eczema as this was something i could see and i hoped it would go. It flared up at times and then reduced but overall it was still there. One day i woke up and just decided to use the prescribed cream i had had for years but hadn’t had the commitment or care/time for myself to use properly so i hadnt bothered. The eczema has now gone. You could argue this had nothing to do with the MIR-Method but I believe it made me care for myself more and see things differently. I think it works in ways you can’t predict but the end result is positive. I haven’t felt that i cant cope in the same way as i did before i started. I believe my chakra’s are more open as i get hot hands when i relax which i believe is energy flowing. I am going to carry on with this and hope to improve more. It is very subtle and i have at times felt disappointed at the lack of obvious results but im determined to keep going as overall things have definetely improved! Thank you! Thank you for looking at the results which can indeed be subtle! And though it is not overly clear that the MIR-Method helped you, I am very glad that your eczema has gone! Sometimes the working of a cream improves, as if the body is more absorbing the ingredients that do the work. And yes, the fact that you cared more for yourself, is something that really grows when doing the MIR-Method. It’s all in the stroking of the hands and giving yourself loving attention twice a day. In tip #30, you suggest finding a MIR Method Guide to see if you have any blockages and if so, they can be unblocked immediately. Are there any guides in South Carolina, USA or on the East Coast, USA and if so, can you send contact info? You can find all the MIR-Method guides here. And you can contact them through email or Skype. They can work with you at a distance. I am just starting using the MIR Method, found it just by chance, and its simplicity fascinates me. My question is, if it is possible/ advisable to repeat the 9 steps twice in case of being sick or needing things to go a bit faster? Thank you so much for your sharings. It is so funny that people find the MIR-Method by chance! Hope it brings you much good! No, you can’t do it more often than twice. Your body cannot work any faster. Twice a day is more than enough. Hope to hear some good news from you. Good luck! is 10 days now. After I came back for 3 times I had blood nose for the 1st time in my life – I am 77 years old – 3 years ago I discover I have allergies and sinus. I sneeze a lot. peoples. My vacation was in Brazil and I already teach 3 friends . GOD bless you. Yes, it is possible that the blood nose was from the MIR-Method. Please read this article where it is explained: “1. Have you recently had a nose bleed?”. And thank you for teaching your friends! I hope it will bring you much good! Oh, and in which magazine was the MIR-Methode published? That is great news for me! I stumbled across an article about you a few weeks ago and was at the point where I was ready to try anything to help me move forward after years of emotional/physical struggle. A while back I became strongly aware that my loss of direction, lack of self confidence, and heightened sensitivity were creating most of my health and energy issues, and pushed forward trying hypnosis, meditation and following a healthy diet etc. Things shifted little by little bit I still felt like I was standing at a crossroads. I have been following the MIR method for 5 weeks now and I can’t believe the difference. I feel I am starting to awaken finally and sort myself out. I am struggling at the moment because my inner rebel is starting to emerge and several of my close relationships (mainly my partner) are suffering as a result. It’s hard to keep myself from slipping into old patterns when we are together, but I know that there is a strength in me now that will not allow myself to stay as I was. Even though I feel drained and confused by it all I have a strong sense that everything will be ok. Every day something changes. So, I’d like to firstly thank you for magically popping into my life. This process has worked better for me than anything I have ever tried (and believe me, I’ve tried everything!!). I will continue to do it every day for as long as it takes, no matter what surprises it throws at me. Thank you mireille. Secondly I just want to say to anyone out there who is struggling with all the emotion that comes up during the process to just keep going! It’s worth it. It’s a mighty cleansing process, so simple yet so deep. It really does work. Dear Katy,Thank you for sharing how the MIR-Method helps you. I guess one of its strengths is that you can do it yourself, so you get a sense of control over your life. I am very happy for you! Please take extra care about your responses to your loved ones. If you feel fire coming from within, make sure you’re alone and don’t direct it to your loved ones. It takes extra effort to not harm the ones around you when you feel your powerful fire coming out. I am not sure this really applies to you, but just wanted to share it with you and with others. All of a sudden, I have clarity. I am make no choices to make my life better each day. I do not agonize over my choices. I do not sit around in a fog of not knowing..it is as if a switch has been turned back on and i AM doesn’t no deciding acting again…. I read on the 9 steps to use your own language..I took this to mean change the words so I feel more connected. I have added to optimize insulin sensitivity to my list…..now I am unsure if this is a good idea. Thank you. I like forward to sharing my results after the four weeks. Such a divine progress you’re making! I am SO happy for you! To have been an executive and then, after your head injuries, not being able to make any decision anymore. Yes, I can imagine the frustration levels. How AWESOME that you are now able to make decisions! Must feel like you are getting a grip on your life again. This is a good sign that your body wants to heal. Hope to hear from you after 4 weeks and please take some more weeks after that, if you want to. Most people in the Netherlands just continue after 4 weeks because it feels good to them. Until you are radiating and fully energetic again! With gratitude that you embraced the MIR-Method! Xie xie! That is such a wonderful gift, thank you! We already received the 9 steps in Chines, but on paper and I never was able to get them digital to place them on the website. I am very grateful, thank you! Xie xie! I have done this for 4 weeks, as suggested, but there is one thing I have changed as far as wording goes. Also, I am not comfortable with rubbing the back of my hands, but I DO feel more relaxed when using a ‘hand washing’ motion. This is probably not an issue, since I am still working with the hands. I don’t know about any others, but when I do the 4th step ( Clear All Meridians ) I feel goose bumps going up and down my whole body. And at the final step ( Clarify Mission ) when I am done, I have so much energy in my hands ! It feels like I am holding hot white balls of light that continue to grow and grow ! I turn my hands up and project this energy to the Universe, to heal. Thank you for your time, and for this wonderful method ! Such a great thing that you notice goose bumps! Thank you for sharing your inner energy light to the benefit of all of us and the universe! If you change the words that way, you are contradicting your subconscience. Acidity is a medical term that means both acidity AND alkalinity. If you say ‘maximize alkalinity’ your body may get into trouble, since it is important that your skin and stomach remain acid. So please don’t change any of the words! Yes, you can rub your hands that way. That is totally fine, as long as you keep moving skin on skin. If you want, you can continu the 9 steps for as long as you please. You can also leave it until you feel you want to start using it again. I guess you will feel what’s best for you. Well THAT makes sense ( acidity/alkalinity ) THANK YOU for clearing that up for me ! And YAY . . . I can do this as long as I feel ! It has become a part of my daily routine, and it is a wonderful focal point to end my day, for night time healing and repairing. My mission – One never knows, but I feel rushes of ‘light’ and optimism everywhere. Thank you again for all that you do, and for taking the time to respond. Je fais la méthode MIR depuis 4 semaines. J’ai eu et j’ai encore beaucoup de fatigue et de douleurs multiples, je continue encore mais je m’interroge sur le 1er: ne voudrait -il pas mieux dire l’alcalinité, trop d’acidité est mauvais pour l’organisme. L’acidité veut dire les deux: c’est le niveau d’acidité dans ton corps. Et ça peut aussi être l’alcalinité. Et ton corps a différentes acidités partout: les intestines sont alcaline, le sang est alcaline et cetera, mais l’estomac doit être très acide. J’espère c’est plus clair pour toi maintenant! I am really happy for the wonderful people who are experiencing great results using your method. I’ve done it for over a month – did not notice any change – positive or negative in my thoughts, habits, dreams, body, relationship etc. I will try to do it for another 3 months, because: 1. a few times in the beginning I yarned and passed gas, something that I obviously don’t do every two minutes – so some energy shifted. 2. need to moisturize my feet and hands anyway until the weather warms up, I may as well use the MIR-Method during that time. I hope to report back with exciting news! Thank you for sharing your method. Thank you for giving it some more time. It is very likely that profound healing takes more time. It depends on how ‘deep’ old emotions are. Hope to hear from you again! Mirelle thank you too. I have done i for a week. Was so bad for years. Last night I woke and my whole life had changed. I feltt so free as for many years I had not. I couldn’t believe how good and fell I to a trap and took valium to block it and create havoc again. So sad have just done the 9 steps again for d red about nail biting and your taken on it and it is true. I’m confused gin but know your method works. I wish I had just believed more as I’m scared again. Not to worry! The changes will come and go. You will first get a glimpse of what’s in store for you and then it is gone again. Please give yourself time to adjust and to slowely make the new you stabilize! Be really gentle with yourself and try to see how your situation is hard on you. Just let yourself evolve slowly but surely! Veuillez regarder le vidéo d’instruction dans le site Français de la Méthode MIR? C’est sous-tîtrés en Français. I have been doing the MIR Method for about 2 months now, and for years have suffered from terrible paralyzing period pains. Everything from vomiting to diarrhea, to being doubled over and bed ridden for several days. My first cycle through the MIR Method and my period, I only felt slight discomfort. I was in shock! It was such a breath of fresh air. I had learned somewhere that the reason why period pains can range from normal to wanting to die comes from an imbalance of hormones…well if this is correct, than the MIR Method is a very effective way in helping. I am so grateful that the MIR Method made its way to me, and I am sharing the method to all who are open in learning how to help them heal their own body. Thank you for this simple and effective program! So blessed! Thank you for embracing it! I am SO glad to read that it has helped you with your physial pains. How terrible they must be. Yes, it can be hormonal, but also blocked meridians can cause pains and also toxicity in muscles. So there are more ways to make pains go away. Thank you for sharing it with many others. I really hope it can spread in the USA! Thanks for helping! To begin, I offer heartfelt thanks for the generosity of your method and generosity of your Spirit to share it with those who resonate with healing. I am not new to healing work. I’ve been involved with healing for over 50 years. I believe part of my Mission is clearing of the ancestral bonds I’ve brought along into this incarnation. I believe we heal the ancestors when we heal ourselves. This morning I felt led to share my experience. I did not have any negative reactions for the first 17 days. I still don’t. But what has happened is fascinating. My vibrational field is changing to a Higher level and with that, many people I once knew are falling away. We are no longer a vibrational match. If this happens to others it is perhaps a very good indication. The aspect of it that is a challenge is sadness and lonliness, which I’m experiencing having few friends now…….all of which needs clearing as well. How wonderful what you describe! Yes, it indeed clears up themes that hindered the ancestors as well as your own, through step 3. And indeed, some people leave your inner circle and others will step into your life. How wonderful that you noticed what happens! And I am glad you are full confidence that those people will be attracted by you. I wish you lots of good times with your new friends! I wanted to thank you for selflessly creating this method for healing us. I am very keen to start it for my 17 year old son with autism also with a persistent mycoplasma bacterial infection since the last two years and for my 10 year old younger son with asthma. Is it essential to make them understand the meaning of the 9 affirmation/ commands. They understand quite a bit, also if they are able to do this for themselves it would be best, am I correct in my thinking? I need to do this myself for a month before they start, am I right? Thanks so much for your help. I am very excited about the MIR-Method and will update you with progress. Thank you for embracing the MIR-Method! Yes, when it was complete, I just knew I could not keep this to myself. And now there you are in India, helping yourself and your children with it. How wonderful! Yes, please do the MIR-Method yourself for 4 weeks. Then, if you still need to help your children, you can ask them to do it themselves. If they can, that is. They do not need to understand what the words mean! It would be wonderful to have the 9 steps translated into the Indian language, Hindu? Hope you and your boys have good health with the MIR-Method! Thank you for your kind words! I am working on the 9 steps in Hindu! Will announce it in the newsletter, once it is complete. Such wonderful changes you notice with you and around you. I am very glad for you! May you have a wonderful life ahead of you and yes, let me know how the test results were! Hi Mirelle thank you so much for this method….my therapist has introduced me to it…it is simple and thank you for spreading it to so many peple who need it. two qs…i noticed changes in my body such as an itching sensation all over face and body on day 4….is this okay? I got some anxiety bouts and a bit of overating and craving food for comfort…could it be the case of my body throwing up all the symptoms of the poblems i have? Second….can we use this to heal emotional blocks…i have been trying to have a healthy balanced relationhsip for yeras and have noticed a common pattern for all of them….please help me out here because unless i get rid of my blocks, i wont be able to have a healthy relationship. Yes, your body will go through changes. Craving food can be because your body wants to supplement the shortages. Have a look at this article for explanation: 27. Production resumes. If it is craving sweet food because old sadness comes to the surface: that’s normal and will go away again, once you have lifted the sadness by using the MIR-Method. And question nr. 2: Yes, absolutely! The MIR-Method is very strong regarding old emotions. Somehow they relieve much quicker than physical issues. Quite logical too, come to think of it! Did you subscribe to the 6 weeks guidance emails? They give you extra explanation about how the MIR-Method works. You find it on the home page, top right corner, where you can subscribe to the newsletter. I felt a shift after doing this once! I’m highly sensitive and work with energy so I’m eager to continue. Thank you for sharing! Hi!! I’m still coughing up flem and have had a cold for two weeks. Is this detoxing? I never get colds. I do have asthma so maybe my lungs are still releasing…..? Yes, it is very possible, that your body is still cleaning up. As long as there is flem you can trust your body that it is working hard to clean itself. Please make sure you drink enough water to help your body get all the flem out. Apologies for sending my previous comment without realizing the questions are answered in another section. Thanks for your gift and for all you do. One more thing!!!! From the very first day my caffeine addiction is GONE. no headaches. No cravings. I just have up coffee. :). Yeah!! Yaaaaay!! I am SO happy for you! How wonderful! Thanks for sharing and encouraging others! I’ve been doing the method for 5 days and feel lighter and more clear headed!!! I’ve developed a slight cough but am praying this helps my asthma. I believe I’m carrying some very heavy stuff from parents and grandparents. Yes, lung issues have often to do with sadness from yourself or other people. Coughing is often a GOOD signal! Your body is cleaning itself, so just let it be. Greetings and lots of healing for you! First of all I appreciate your willingness to share your knowledge freely to every one. I do those 9 steps which you have mentioned and along with it I have added three more steps. Mam I have no wrong intention but when I do for me or any one I say these three points also. After detach mother, I say detach from previous birth bad karma, detach from present birth bad karma’s and then detach from all the negative cords with every one, then I proceed to clear meridian and …. so on. Mam I just wanted to share it with you. I dont come to know what is helping me, yes but sometimes I feel good. I asked my father to do and he says that he feels very hot and then he stopped. So If time permits I do Surrogate healing for my parents too. But Mam Its a great thing and is very very useful. I want to teach others too but you know people have inertia in learning new things so I am not able to help then. Any way I will continue. Thank you for embracing the MIR-Method! You can always try to help other people, but many people are not yet open to this. What works, is that you continu the MIR-Method and if people notice that you are changing, looking better, feeling healthy and radiating pleasure, then people will start to be curious. So, just continu and be patient. About the extra steps. You can add extra steps, but please put them on top of the 9 steps and not more than 1 extra step per week. But you should know that everything is included in the 9 steps. Including karma. When you do step 3, you already address karma and detach yourself from it. There is no need to say that as an extra step. Hope you feel it working for you and that it will bring you and your family much good! Thank you for sharing. God bless you, Mireille. After one month, I have no more troubling dreams and I am headache free upon arising. The MIR-Method is helping my libido and amazing things are happening concerning my eating habits. I am making healthier choices without thinking about it and my portion control is getting under “control”! I am wrapping half my sandwich up and saving it for another time and am leaving food on my plate. Miraculous! I intend to do the MIR-Method of Healing every day of my life! I am absolutely thrilled about your progress. SO great! Thank you for sharing it. You encourage others. Thank you! Just thank you Mireille, thanks a lot for your method that is kind, gentle, free. I wish like you that it will bring and share joy, love, acceptance and peace for everyone and perhaps for all earth! Juste merci Mireille, merci beaucoup pour cette/ta méthode qui est remplie de gentillesse, de douceur, qui est gratuite (un vrai don!). J’espère comme toi peut etre que cela apportera et partagera de la joie, de l’amour, de l’acceptation, et de la paix a chacun et peut etre meme pour toute la terre! Thank you for your ever so kind words! I am glad you want to embrace the MIR-Method and bring it to India. Thank you! I will share as much knowledge as I know to support you as much as I can. Hoping it will bring much good to as many people as possible. Meanwhile, thank you for your wonderful work with people! Is je nieuwe boek te koop?? ?waar bedankt!!! je fais d’autre methode de traitememnt comme”soin quantique de guerison” et je veux vraiment reprendre d’utiliser la methode MIR es que j’arrête la première pour reprendre la methode MIR? Tu peux toujours décider toi-même. Choisi ce méthode qui te plaît le mieux. merci pour votre réponse chère Mireille mais ma question est la suivante es que je peux utiliser les deux méthodes dans la même journée?? Ah, ça c’est la question! Je m’excuse. Oui, tu peux toujours utiliser les deux méthodes. Mais, il faut d’abord demander votre thérapeute si lui/elle sont aussi d’accord. Merci pour demander et bonne chance! I heard about this method from a friend while I was studying in Netherlands. I didnt believe something like that could actually work so I didnt try it. I have a long history of eating disorders and bowel diseases because of my ED. When nothing seemed to work I started doing MIR-Method and guess what I am so happy. Although I have gained weight but I love my body just as it is. I have a very positive self image and a very healthy relationship with food now. I actually love myself. I will continue to practice this for a few more months. Thank you for lettig me know! And how fantastic! I am so happy for you that you DID give it a try and feel so much better now. Yes, your mother can do it in English, although she doesn’t understand it. I do hope that we will find a translator soon. I will place a request on Facebook for translation. Wishing you lots of love and happiness and with gratitude for your message to me! I’ve been doing the method for over a month now and I’ve noticed lately that when I was saying certain steps I was coughing. These last 2 days I’ve started having very strong reactions. Yesterday when saying the 2nd step I started coughing, could hardly breathe, was choking and finally felt sick. I lasted a little while in fact each time I was trying to say the words. Today this strong reaction started again when I read the last 4 steps. So I’ve stroked and read the 9 steps a 3rd time because I had to stop when reading, had to start again saying the words. Was I right to do so ? Am I right ? I think I’m doing a strong détox. I hope to hear from you. Yes, you are definitely doing great detox! By coughing you breath out a lot of acid air which makes your acids leave your body. Very good! I hope you can keep it up. You can always do the 9 steps again. Usually it is not necessary to do them more than 2 times, but very good of you to start them again when you couldn’t finish it properly! – disparition de mes envies incontrôlables de sucre et de chocolat. – perte de poids de 8,5 kilos. Bref, tout allait pour le mieux. Excepté que depuis début novembre, mes envies me reprennent, et que mon moral s’en ressent. En bref, ma “lune de miel” avec la méthode MIR semble terminée ! Malgré cela, je vous remercie infiniment, Mireille, pour cette merveilleuse méthode, et pour l’avoir offerte gratuitement au reste du monde. Ok, pardon, Mireille, autant pour moi, je viens de voir votre vidéo sur les addictions, et j’ai entendu qu’il fallait utiliser la méthode MIR pendant quatre mois et non pas quatre semaines pour s’en libérer… Encore désolée, et merci de tout ce que vous faites et d’avoir mis à notre disposition cette merveilleuse méthode ! Je vous en prie! Et bonne chance! Oui continuer, s’il te plaît. Ça dure plus longtemps! Ne pas recommencer aux 5 et 7, mais faites tous les 9 phrases! Thank you so much for picking up the MIR-Method and sharing it with others! I am very glad you could feel the effect in your body! Let me know in time what you notice about improvements. Thanks for embracing it and may it bring you much good and support you in your wonderful mission with abundantforever.com! Ca fait 6 jour que je pratique la Méthode MIR pour le cas de dépression. Je ressens une forte anxiété je dors mal des peurs des sentiments parfois insupportable, est ce que c’est normale ces ressentis là??? Oui, c’est tout a fait normal. Si ça va pour toi, tu peux continuer. Si non, demande qu’elqu’un te supporter, par exampla par un guide de la Méthode MIR. Is it okay to do it more than 2 times per day? Do we need to say what our issue is each time we do the process? Thank you for your kind words! Please have a look at the frequently asked questions for more answers. Yes, you can do it more often, but it is not necessary, because your subconscious just cannot work harder than it already does with 2 times per day. No, you don’t need to say your issue. Your body and un/subconscious will start working on what needs to be handeled first. Please let me know how you are doing and meanwhile good luck! Since the beginning of April I have worked on the nail biting process and as soon as I started the MIR-Method,I stopped biting , I have been biting for all of my 64 years I had nails…. Looking at your email address it looks like you are from New Zealand, how wonderful! Right at the other end of the world from the Netherlands. Unbelievable how far the internet reaches! I am very, very happy for you that you stopped biting your nails! It is so great and I understand completely how proud you must feel and how much you must enjoy your nice whole fingertips again! Did I write yet about nail biting? Think not. Will come! It has a lot to do with frustration and not being able to tell your truth. Hope all your other things will leave you too! It feels like I have been doing the MIR method for so long, and yet, it has only been a few weeks. Have I benefitted? Oh yes I have and after thinking about it, I am happy to say in ALL areas. Some changes are so subtle that I wonder if I am imagining it and no, I am not. People have noticed the changes and commented positively on this and ask what I did. Well, I explain and they all, without exception, look at me as if it is all some hocus-pocus spell. They do not even want to try it, but, that is alright. I will leave them all blissfully ignorant! The method works and it isn’t just all in the mind and thankfully I do have some friends and family members who believe that there are alternative ways to getting healthier and be happier and THAT makes me happy too. Thank you for sharing all the wonderful and useful information with me. I am SO happy for you! And yes, many people find it hard to believe. That is understandable. Thank you for being so respectful to these people. We will work on with the MIR-Method and collect as many good stories as we can to inspire others. I have watched you short video twice in the past, and found it very helpful, but this morning I watched your full video and was grateful for the fuller explainations – especially about step 3, detach father, detach mother. I had been wanting to ask about ‘detaching’ other people for whom I hold emotions that are negative to my well-being. I felt blessed that your video answered this question for me. Dear Mireille, Thankyou for sharing this beautiful, gentle and self-caring technique. I did this many months ago and felt such calm, even just from stroking my hand. I did pass on to others as well. Also do you do an e-card of the method that I could download and print to share. I could make a donation in return. Thank you for your loving work. Thank you for your feedback, and for passing on the MIR-Method to others!! That is really great! There also is a link to make a donation on that same page. Wishing you lots of succes with the MIR-Method! I have used your method for more than an year (after the initial 4 weeks)and I still use it once per week (twice a day). I seem to recall reading somewhere that the whole 4 weeks should be repeated after an year or so… Is it correct or should I just keep doing it once per week? It is perfectly ok to repeat it the way you are doing it right now! Sometimes I suddenly, out of the blue, feel the need to repeat all 9 steps for a day or even just once, and I do just that :-). So follow your heart in how often and when you want to pick up the MIR-Method – there is no wrong or right and repeating it is very helpful, especially regarding the turmoil and worldwide intense times we all live in. Lots of success with the MIR-Method! I discovered your method thru Facebook this morning. Thank you from my heart. Without any prior knowledge of the method when I did it for the first time I experienced a pain- free day! I’ve had pain in my right hip since an old injury about 15 years ago. Note that I did not consider my hip during the session but once it was complete I stood up from my couch for the first time since before my injury without pain!!!! I am excited to continue this beautiful self -healing method your were blessed with. Thank you again from my heart for this simple easy and profound healing method. Much love!!! Thank you so much for sharing what you have been experiencing while doing the MIR-Method! It will help other readers to get inspired too and start working with the MIR-Method also. Please keep in mind that it is possible that you will have some physical/emotional reactions to the MIR-Method; they can vary from headache, fatigue, perspiring more, darker urine to being more irritable a.s.o. These reactions are always temporary; it is important to drink enough fluids (water or herbal tea) because the MIR-Method causes your body to work very hard and produce more by-products, and also release (old) waste-materials and blockages. Hello Mireille, just discovered your site and method today and find it VERY interesting. One question please: does it matter in what direction you do the circles on your hand? When working with the MIR-Method you address the body’s own intelligence, and by stroking the hand gently – keeping skin-to-skin contact – you are acting lovingly towards yourself and activating the para-sympathic nervoussystem, that tells your body that it’s ok to relax now. In this ‘mode’ your body feels save, at peace and free to work on healing, nurturing, regeneration etc. The stroking itself is not about stimulating meridians or dispersing energy, so it really doesn’t matter if you stroke one way or the other :-). I bought your book quite some time ago. I also signed up for your newsletter but think I only received one. I know as long as I do skin to skin, all is well. But I want to do this with my 18 month old. Can I CHANGE where I do this DURING a session? He doesn’t seem to have the patience for one spot. as well, as long as you touch skin on skin. Good luck and please post any results on our website, thank you! I love this method so much! It brought me so much peace and I can always rely on it. I just want to tell you, you have saved my life, if i hadn’t of found your method Mereille, I would have been an emotional wreck, the method has made me feel safe, and brought me a great deal of relief from an issue that made me feel terrible. Also, I have some online friends who are suffering from emotional issues, a girl I have been speaking to suffers with depression, so I have recommended the mir method to her and shown her your website and she is so pleased that this method exists.She even said she would tell all her friends about the mir method so they can use it for their emotional and personal issues,these people live in the USA so hopefully the method can be spread around the world even more so. I can tell from your site that it’s your wish for this method to be known world wide and I think that if this method was known world wide it would be extremely beneficial and would bring about a lot of peace and relief, I would like to make an effort to pass this method onto as many people as possible, its amazing! Also, would this be an appropriate step to use before the 9 steps: ‘Release all negative emotions and replace with positive emotions’ ? If not, may you edit this step more appropriately? Thank you for your wonderfully caring words! Yes, it is absolutely my greatest wish to spread the MIR-Method around the world. It has already arrived in so many countries, it’s amazing! Thank you for helpinng me doing so! You need not add a sentence before the 9 steps. All 9 steps work together in releasing negative emotions and ‘filling up’ with positivity. I might write an article about this one day. Quite interesting to know how the steps work. You can alsof find it in my book. Thanks again for helping it spread around, GREATLY appreciated! Thank you for sharing this technique. My health and life purpose are now unfolding faster than ever before. The process is gentle – like discovery, and thankfully, not overwhelming. I notice most of the changes in hindsight. I am getting inspired to look at things on the internet, which lead to discovery of new information that is integral to healing or business development. I am finding myself in the right place at the right time. And I am seeing myself more and more clearly, without judgement, so that I can make the internal changes necessary to life my life to the fullest. I was born in Thailand, now living in France. A French friend sent me your link in May 2012 and I have practiced for 4 weeks as indicated. Now I still do it from time to time. I’ve combined your method with hypnosis that means I do it while on self-hypnosis state (Erikson way)and I find it quite efficient. Thank you for translating the MIR-Method instructions into Thai! I already put them on Facebook, for people to know that the translation is there. I strongly hope the MIR-Method will bring much good to the people who speak Thai. Thank you deeply! je medite regulierement et fait des efforts pour rester dans le moment present bref je n’attend pas le remede miracle ! Je suis une kinesiologue moi-même et c’est grâce à la Kinesiologie, j’ai pu développé la Méthode MIR. Aux Pays-Bas il y a déjà beaucoup de gens qui ont vaincu d’anxiete chronique. Veuillez simplement avoir patience et faites les 9 phrases pendant aux moins 4 semaines. Beaucoup de chance et de succès! Hello Mireille, Ten weeks ago, I decided to give the MIR method a go because it was simple and what did I have to lose? Then I promptly forgot about it until I received a reminder from you to share results with others. Every so happy for you! Thank you for sharing your experience. Very often the MIR-Method doesn’t show clearly, but when you look back many decisions and difference in energy can be seen. Hi, Mireille, what are all of the detoxification symptoms that can come with the MIR Method? And am I correct that after using the Method for 4 weeks, the process takes 19 months to be completed? And when you say ‘process’, do yu mean an emotional healing process as well as a physical one? The detoxification process could be anything that your body uses or needs to get the toxic matters out. This can be in stool, perspiration, vomit, but also in fever to ‘grill’ viruses. Yes, the process takes up to 19 months, after the 4 weeks. You can always use the MIR-Method meanwhile. Yes, the healing is both emotional as physical. Let us know on the website what results you notice! I did the MIR Method exactly as your were saying it while you were saying it when you did all the 9 steps at the end(noticed that “Meridians” step was left out of your review of the steps at the end, so the first few times I left that out until I realized it) but at any rate, I had a letting go & opening which I understood to be releasing a lot of losses that I was not truly processing. Then I had a profound dream about a little Aztec boy who was being tortured while being prepared for a ritual. This dream was no dream, a reality at a different time, with ritual sacrifice that we have no record of. After that night, I have had this rush of energy and focus return to me. I’m clear and present. I have no idea my connection to the beautiful little boy, but he was in complete acceptance of his moment, complete resignation. Thank you for sharing this with me through others and I will and have passed it on. Thank you for your feedback. Will work on it. I already thought the video was quite long. I wanted to say thank you so very much for sharing this wonderful healing tool. I had an instant result after the first time I tried the MIR-Method. What came through was not so much a recognition of the healing affects on my body, but rather the intensity of new love that flowed through. It was a type of recognition of something I already knew of, and that I need not suffer to have to receive it freely every waking moment. I cannot thank you enough for awakening me to this simple recognition of an old understanding I already had. Much love and thanks, Christina from Australia. p.s. when are you getting out to Australia? Thank you for your wonderful words about the MIR-Method. Please let us know if you notice any further results. I am taking my first steps abroad now. Please look at the Webinars I am doing, so we can already meet through the internet. Hope to hear from you again and thank you for embracing the MIR-Method! I have been using the MIR Method since almost two weeks now and always in English. I even think in English and never use my own language any longer. I’ve tried though to do the nine steps in my first language but it makes me feel awkward and uncomfortable: is it necessary to use our mother tongue? No, when it feels too awkward for you and English is most familiar now, then please keep using English. Always use the language that feels best for you. If you have any good results, please put a message at the Testimonials, thank you! Thank you so much for making this available to everyone. I just discovered it, did the process with you and could SO much feel the energy moving in my body throughout each statement. WOW! Thank you and much love. Hello dear Mireille, my name is Dina and I’m 29 y.o. Russian. I would like to thank you for your devotion of helping people and for your kindness to share it with everybody. I heard about MIR method last year from Carin huibers as my 2 y.o. daughter was on treatment with her due to her severe eczema. It was done distantly, and most of complaints (like itchiness, dry cracked rough skin, sleepless nights and etc.) disappeared. This year after seminars in Dubai with Carin, I started applying Mir method on myself. I had a stomach acidity and my hormones were jumping all the time. I started all 9 steps a week ago. To my surprise (because we don’t won’t to believe we are so much toxicated;))) I covered with pimples, I have most of the detox symptoms explained in your book… ;))))) I already cleaned up most of my blockages and emotions before so it’s easy for me to cope with all other symptoms. At the same time Im doing MIR method for my girls (3 y.o.and 1y.o.) and they both love kids method! They both got like flu symptoms, moisture cough and running noses. But sleeping better and not waking up very often at night!!! Will let you know after few weeks about our progress!!! I started using your method a week ago for my anxiety brought on by Seasonal Affective Disorder. I found instant relief and after a week I am feeling great. I see you say on your website that people train as MIR Therapists… how do you do this? I do crystal healing and am a Bach Flower Practitioner and I love this method so much it would be great if I could offer it. Btw, I work for donation/trade so this is not so I can make money, I just want to share this with others. Thank you for your wonderful news! I am so happy for you that the MIR-Method gave you great relief! I hope many more people will feel better by using it. There are some small plans about coming to the United Kingdom. It all depends on how many people are willing to do the course, so we can cover all expenses. In the course you will learn muscle testing and you will receive a very quick scheme through which you can find the core issues with your clients. Hope you are willing to take up the course. Maybe you have an idea about how and when we can organise one? And also where…! Greetings and lots of success! Has anyone ever reported improvement in age related cataracts and/or astigmatism? I read throgh testimonials, questions and guest book but did not see any mention of them. No, I am sorry, we haven’t yet had a report about age related cataracts or astigmatism. If you are able to work with people who suffer from this, you can always give the 9 steps a try, or find help with a MIR-Method therapist to guide you. Hope to hear from you with positive results on these severe illnesses. I have been doing the MIR method now for four days. My ten year old son is also doing it. He is a bit under the weather, possibly from the method. This is a good sign. I have added two steps, Restore Genetic Information and Restore Structure. I am also doing it for seven people. Hope your son is doing better by now. These signs can indeed be result of the MIR-Method. The two steps you added are not necessary. All 9 steps are designed to restore your genetic information, they all work on your immune system and structure. So you can leave those two out. I am worried about all these people you are treating. Is it really necessary that you do it for them? I really would love to see people doing it by themselves, if they can. You may end up working hard for other people who could easily do it themselves. Teach them, if you please! If they are not able, you can always ask permission and do it for them. Thank you for your very kind words, it is much appreciated! Hi , These steps sound very useful, i have transalted this in one of our regional languages called Tamil. So that people who do not know english can also benefit. to find it. We feel very, very happy that you translated it. i am 22 years old live in INDIA…!! your MIR method was suggested by cousin she is physician,Rekii healer,angel card reader. i have done this method for 4 weeks .. have even feel some positive effect but still want to continue more .. can u still continue this 2-3 time a week .. i lack lot of confidence ..have even added step to improve my confidence,determination ! can i still continue the whole or only required steps !! specially to improve my confidence and improve my personality .. ! Please thank your cousin for telling about the MIR-Method. Answer to your questions: please look at questions 2 and 12. Good luck and I hope to hear positive results! Thank you very much for your message. It is lovely to hear that MIR means peace in Czeck. We know that it means peace in Russian, but we did not know that it means the same in Czeck! Thank you very much. I did this technique for 30 days. I have been suffering from diabates for more than 10 years. Inspite of medicines, it was not coming to control fully. After 30 days, I now checked my fasting blood sugar and I find the reading to be around 92. I have checked this again after two weeks and I find that this is now around 104. I hope that this technique has worked in me to bring down the sugar levels. Please let me know whether you have any case where diabetes is brought under control after MIR technique. Yes, we have a couple of astonishing results in the Netherlands. These people were all treated with MIR-Method techniques by a therapist (Kinesiologists). I am working on giving courses to therapists in English-speaking countries. Diabetes is not to be underestimated and one of the most complex illnesses. The MIR-Method continues to do its work for another 18 months after you finish doing the first month, so please keep checking your blood sugar levels. And please also keep close contact with your physicians. I wish you good luck and hope your diabetes will be conquered one day! Thank you so much for making the method available and sharing it. I have been using it for over 3 weeks and the results are incredible. I have so much energy and a feeling of calm and peace. I was always a worrier and thinking ahead and now I feel for the first time that I am living in the moment and enjoying my life. It’s truly a gift and I am very grateful. Thank you for sharing. Hi Valerie, when I saw your name I was nearly sure that you’re Irish and then I traced you to facebook! I’m Dutch, living in Ireland (Mountshannon, also Co. Clare). Did you listen to the webinar(s)? Unfortunately my reception isn’t great so the picture comes through very ‘hampered’…. 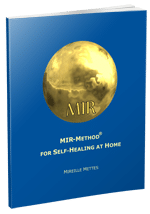 Dear Mireille, through an article in a newsletter I learnt about the MIR-Method. My intuition told me instantly that it was good. I made small laminated cards and spread them, so that I always had them near me. In the car, at work, next to the bed, at the dining table, you name it. Every time I saw the card it was a trigger for me to do the MIR-Method. Now months later I still do the MIR-Method several times a day. It has brought me beautiful things, for which I thank you from the bottom of my Heart. Though special spiritual friends of mine this method has been forwarded to everybody that we thought could use it. Acquaintances, friends, people who needed help and people who we wanted to help and support in some way. And the results are astonishing and have been received very positively. On behalf of all these people I would like to thank you for the method that you made available. You are a good Person with a Golden heart, many thanks. I wanted to share this with you in gratitude for your love and all the energy you put into it. A greeting from my Heart to yours. Compliments and lots of Respect. Enjoy and Laugh, a big Hug. Ed Aussems, Geleen, The Netherlands. Mireille, I visited your site and video and I had to start right away. I printed steps 1-9 and I also took some notes from your video. I started to apply the method to myself straight away. I didn´t want to do just steps 5 and 7, because I´m too impatient. So I´m doing all 9 steps and I have included my eating addiction. Now I see clearly what your method is all about which is good to know. The site looks good, my compliments about how you deal with all this. Greetings from Debora. I would also like to thank you for the MIR-Method. Last August (2009) I was told that I have metastised breast cancer in my bones. I´ll do anything to make me feel better and I apply the method 2x a day. In the morning it gives me a lot of energy and before going to bed at night I do it again and each night I fall asleep quickly and always sleep well. I only need to take pain killers now 1x a week and I am very determined to continue this for a very long time. Greetings from a 63-year-old full of courage. Dear Mireille, I would like to thank you dearly, because you have saved my life, that´s how it really feels. Last winter I was very depressed and I didn´t care about anything anymore and didn´t feel anything anymore. Then Frank van den Berg from Kampen (Netherlands) told me about your method. He was very positive and encouraged me several times to do your (very simple) method. Only 1 minute 2x a day doing the steps, it would surely help me. And it did! It is just miraculous how this method helped me to live again from my true being. My spirit is again inside my body, in the here and now! All the things that I used to enjoy (and didn´t do because of my apathy) I am now doing again with great pleasure: reading books, sporting, cooking, enjoying nature, enjoying people, taking care of myself, taking care of others, listening to music, making plans, undertaking all kinds of things, I have so much energy again! I am me again, but even better! I feel great and love to crack jokes all day long about things I used to be so annoyed by. Life is much lighter, many things work for me now and are sorted out in the way I used to dream about. Am I enlightened? Ha ha, life certainly is a lot lighter!!! It is very beautiful that your method is indeed a mix of many other methods. You have joined together complex and time consuming methods and reduced them to an amazing simplicity! Fantastic!! Thank you very much and I advise everyone in my circle of influence, because I understand it works for all kinds of complaints. To a world full of Love, Peace and Inspiration!